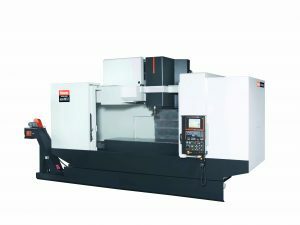 The VERTICAL CENTER NEXUS (VCN) Series of vertical machining centers are built with more productivity-enhancing features than any other verticals in their class. The Series combines advanced technology, productivity and value for a wide variety of machining applications. This makes them an incredible value for shops large and small. Equipped with the MAZATROL MATRIX NEXUS, this control provides conversational or EIA programming, giving the capability and productivity necessary for today’s technology driven shops. 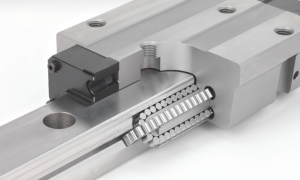 Machinery that feature cam-driven automatic tool changers that significantly reduce non-cut times by quickly exchanging tools and getting spindles back in the cut in the shortest times possible. Reliable tool monitoring on these machines maximizes production efficiency and lowers operating costs via early problem detection. 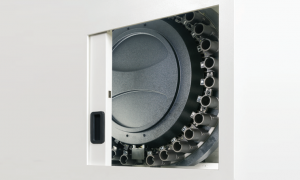 A standard tool storage capacity 20 tools ensures continuous machining operation, while an optional 30-tool magazine is available to further reduce set-up times and increase machining flexibility.